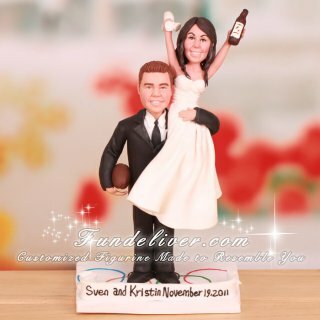 This is a completely customized bride on groom's shoulder wedding cake topper ordered by one of our customers. They would like the bride to be in her ivory wedding dress and groom to be in his black tux. For the pose, they would like the bride to be on the groom's left shoulder and the groom is using his arm to hold her. 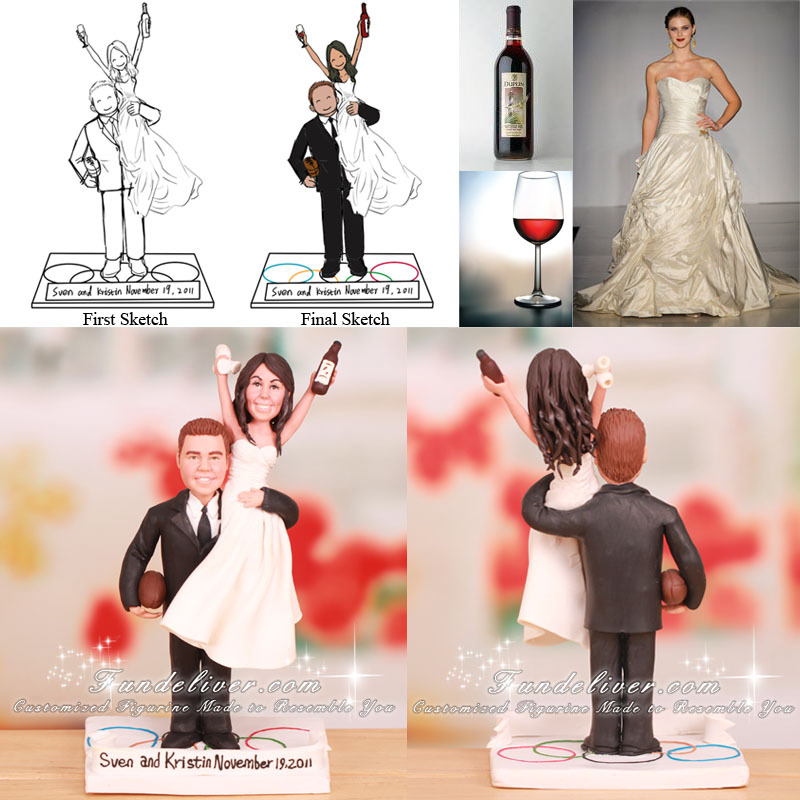 The bride is raising up her arms, holding a wine bottle in one hand and in the other holding two glasses of wine. In the groom’s right arm, he is holding a football. On the floor of their stand, they would like the Olympic's symbol with a nameplate saying “Sven and Kristin November 19, 2011”.